A chiropractic patient of mine in Mississauga knows that I love to run and work with runners so she often brings me in great running articles from the newspaper to read. She recently brought one in to my Chiropractic office during one of her appointments titled, “Learn to change your gait”. It was great to see that the article highlighted information from one of my Chiropractic colleagues from the Canadian Memorial Chiropractic College in Toronto – Dr. Kris Sheppard. The article highlighted 4 tips to change your running gait and I have added my thoughts from a sports Chiropractic perspective. This is easily done now with a treadmill and a friend with a smart phone. Look for symmetry in your running gait at both your feet, knees, legs, hips, and arms. It is quite easy to spot a poor running gait that can lead to a running injury if you take the time to look. 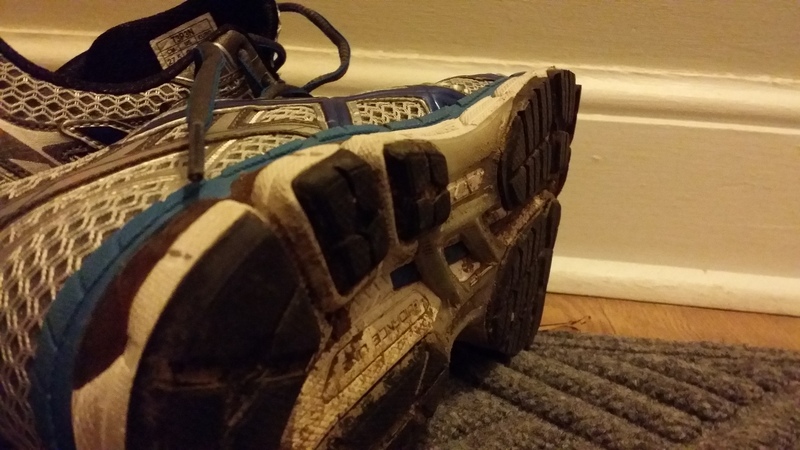 Also pay attention to how hard your feet hit the ground, and how they hit the ground – which another Globe and Mail article titled, “Watch how your foot lands while running,” discussed. A Chiropractic exam is another great way to see how your body moves and functions. When I analyse patients through Chiropractic tests I am able to see how their body mechanics are moving and where they are restricted. The restricted biomechanics that are impacting the body’s function are called a vertebral subluxation, and can be a reason why a person has a particular running gait. I constantly play with different gait games such as the one mentioned above. The one I enjoy the most is moving my head slightly forward to its position during my usual running gait. This changes the mechanics of my running to the point that the joints and muscles are loaded and used differently. Don’t only focus on your feet and legs during your running. It is important to change your focus regularly to ensure that your running gait is effective from head to toe. As is mentioned in point 3, your upper body motion greatly impacts how well you will run – don’t ignore it. Definitely don’t try something new and overdo it. Your body has an amazing ability to adapt thanks to the nervous system, but it needs time to learn and re-wire. The structures need time to adapt to the new challenges as well. And in order to avoid running injuries, you have to listen and respect your body! A great book to read to be inspired to try a new running style is Born to Run. I read this book prior to my run at the Sulphur Springs Trail Race in Ancaster and was greatly inspired. This book was one of the catalysts that had many people modifying their gaits and changing up the shoes that they had always warn! If you are up for a new running style, check this book out! It was an excellent story as well that had me completely enthralled up to the last page! The author of this running book, Christopher McDougall, highlights many steps that he modified in order to leave old and stubborn injuries behind. He stepped quicker, lighter, and with less shoe support. He modified how he ate, and enjoyed running more. Through this, he was able to run further, faster, and to avoid his recurrent running injuries. I have been using a sports watch from Suunto to run and have greatly enjoyed it. Recently, Sunnto compiled data from all of its running community and published it for us to learn! Check out the data to see how people train, race, and run! See if there is anything that you could modify in your running economy! We are here to help you achieve your goals in Mississauga! I just recently finished The Long Run, a book by Matthew Long, who suffers a life changing accident but is able to recover and complete a marathon and ironman competition in 3 + years. The book is honest and shows the determination challenges that a person must endure to become an athlete again after injuries. Goals and mindset are incredibly important. Support from family, friends, therapists, and doctors to help greatly as well. I enjoyed the read and encourage you to read it as well if you are looking to hear a story of what is possible after a life threatening and changing accident. Be motivated by what is possible.